Scenario: June 18, 2016 President Evelyn assigning committees to the recently elected Provincial Executive “For Spiritual Development Chairperson – Agnes Geiger”! 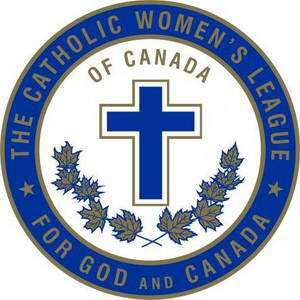 Shock, disbelief and trepidation filled my mind – in my over 40 years of being a CWL member, I had never been a Spiritual Development Chairperson. Has it been a steep learning curve – you bet! Have I grown spiritually – most certainly! Has it been a challenge – yes! Was it worthwhile – absolutely! What have been my greatest achievements? I researched and wrote five workshops, Palliative Care, An Attitude of Gratitude, Conflict Resolution, Mentoring, Objects of the League and facilitated the HMCS CWL Refit at the Vancouver Convention as well as assisting with Catch the Fire and SMORES Workshops. I’ve researched and found very many wonderful spiritual programs and prayers and gotten to know and work with Fr. Edwin Kulling! Working with Spiritual Development Chairpersons from each Diocese for two years and the dedicated women of the BC and Yukon Catholic Women’s League Executive for seven years, has been a joy. We prayed together, laughed together and cried together – a sisterhood! Starting on Monday, I intend to show a lot of gratitude by following Pope Francis’ instructions!